I love breakfast, but I hate cleaning up. So when I saw this recipe on Pinterest, I knew I could put my own spin on it and make an impressive breakfast that is sure to get attention when you bring it to the table. I made this for two people, and the recipe makes three individual cups. If you’re serving with sides, that’s more than enough for three people. But if you have more than one muffin pan, this is the perfect breakfast for company and allows for minimum cleanup! – Preheat your oven to 400 degrees. – Spray your muffin pan with non-stick spray. I used spray olive oil, which helped the ham to cook nicely. 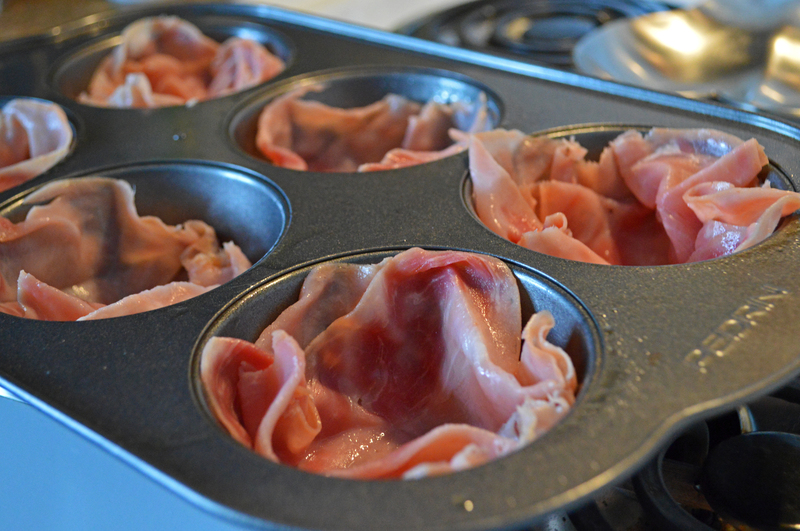 – Use two slices to form a cup in the muffin pan. I recommend using your hand to help mold the ham to the sides. – You can choose to scramble the eggs, or serve them sunny side up. I scrambled them in the photos. 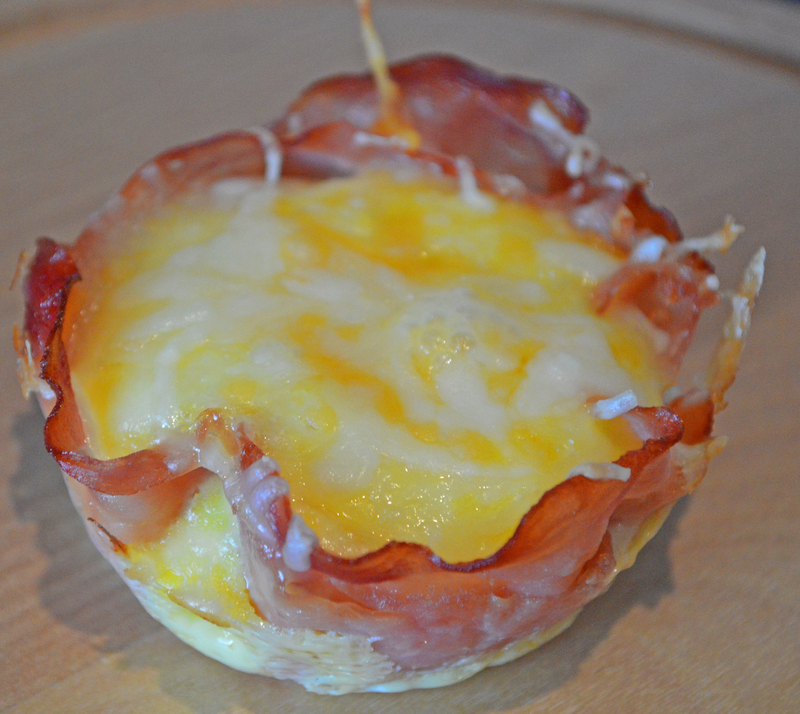 Use a spoon to fill the ham cup in this case. The eggs don’t rise, so fill within about a half inch from the top. If you’re trying sunny side up, just crack the egg into the cup. – Put the cups into the oven for 15 minutes. After that time, pull out, and sprinkle your cheese on top. Cook for an additional five to 10 minutes, or until the eggs are cooked to your liking. – Let cool for 5 minutes before serving. Remove from cup with the help of a spoon.